As the last survivors of the generation of long-serving African leaders once engaged in Africa’s decolonization are – hesitantly – leaving the scene, the way politics is made on the continent is changing. New heads of state are subject to higher demands and pressure for good governance. Elections in most countries are now subject to stricter international monitoring and, more importantly, populations are becoming politically aware and capable of organizing themselves. Africa is undergoing rapid transformation. Its countries were among the fastest growing economies in the first decade and a half of the 21st century. As a result, the continent features a rapidly expanding middle class, firming democracy, regional integration, demographic growth and rapid urbanization. However, state weakness, bad governance and armed conflicts remain common despite these changes. Three African countries extensively covered by GIS showcase the challenges, but also the emerging, indigenous governance solutions. Notorious for the 1994 genocide and ethnic brutality that claimed 800,000 lives in the course of a few months, Rwanda emerged less than two decades later as a World Bank economic poster child. In many respects, it stands as Africa’s most astounding success story. The country has become one of the continent’s fastest expanding economies. Most importantly, its growth, sustained by a combination of strong leadership, clear goals and rigorous management of public resources (Rwanda is among the least corrupt states in Africa), has been translated into improved living standards for a majority of the Rwandan people. GIS expert Teresa Nogueira Pinto set out to explore the East African country’s amazing transformation in January 2012. The starting point was extremely low, the expert noted: Rwanda was the world’s second poorest country even before the genocide, lacking natural resources and development prospects. After the conflict, its state coffers were empty, major buildings and standard infrastructure destroyed and even the most basic materials were missing. On top of that, the country lost its cultural, political and economic elite. Yet, Rwanda has escaped the poverty trap and overcome economic collapse. Rwanda is a world champion of gender equality with the highest proportion of female parliamentarians. It has an efficient education system, near-universal health insurance, low crime rates and an impressive “green agenda” which includes measures such as a national ban on plastic bags. Mr. Kagame’s record as president is not free of controversy, however. He stands accused in the West of permanently delaying a transition to real democracy, crushing the opposition and harassing independent media and human rights organizations working in Rwanda. His model for the country, the expert explained, seemed to be a balance between the “Beijing consensus” and a more Western vision for the country’s future. “Politics in Rwanda is still hostage to the genocide. Security concerns are the argument against any political dissent,” Ms. Pinto noted in her follow-up report on January 24, 2012. It presented examples of the Kagame government’s harsh treatment of critics and opponents. The report included the hint that Mr. Kagame may want to run for the presidency for a third time in 2017 – despite the country’s constitutional ban on such ambitions. In this report, published in GIS in January 2013, Teresa Pinto investigated why the president of Rwanda so firmly believed in the necessity to prioritize economic growth and stability above democracy. It is all there in Paul Kagame’s biography: the harrowing experience of violence that erupts so easily from incendiary speech; the bitter lesson of Western inaction in the face of the genocide; and the future president’s 30 years spent in exile, as a guerilla fighter longing to return home. By early December 2015, the syndrome of incumbent leaders seeking to extend their time in power beyond legal limits had already become known as “third-termism” or “constitutional coups,” a hot topic in African politics. It was against that backdrop that Ms. Pinto analyzed in her GIS report the popular – if slightly orchestrated – push in Rwanda for allowing a third term to President Kagame. The initiative has been criticized in Europe. But the choice does not lie with the Americans or Europeans. The decision is the Rwandans’ alone to make. The international community should abstain from judgment. In another comment, in February 2017, Prince Michael made a case for the Rwandan leader by comparing his record with the less-than-stellar one of the president of neighboring Burundi, Pierre Nkurunziza, also seeking a third term. No major surprises were expected after Rwanda’s presidential elections on August 4, 2017. Mr. Kagame would win with at least a comfortable majority, Ms. Pinto correctly predicted at the beginning of 2017. In her July 2017 report, she listed the Kagame administration’s successes in developing the country. However, the author also pointed out the uncertainty about the president’s plans for his third term, at a time when Rwanda’s model of growth and development without political power-sharing was starting to be contested at home and internationally. On August 4, 2017, Paul Kagame was reelected to his third term with 98.79 percent of the vote. Early in 2012, the Democratic Republic of the Congo (DRC) stood at the brink of another of its countless internecine wars. Three months after the chaotic elections in November 2011, the country had two sworn-in presidents: Joseph Kabila and Etienne Tshisekedi. Incumbent President Kabila, Teresa Pinto wrote in her report, prevailed at the polls with 49 percent of the vote. Mr. Tshisekedi, one of more than 30 opposition candidates running in the contest, received 32 percent but refused to accept the result and was sworn in as president by his supporters. The electoral process, Ms. Pinto pointed out, lacked credibility and transparency. “[M]ultiple locations, notably several Katanga province constituencies, reported impossibly high rates of 99 to 100 percent voter turnout with all, or nearly all, votes going to incumbent President Joseph Kabila,” she wrote. A constitutional amendment, which included a switch from proportional representation to majority voting, was seen to favor 40-year-old President Kabila and his political entourage. So was the appointment of people from his inner circle to the Supreme Court and the Independent National Electoral Commission. The conflict was characteristic of Africa’s most populated Francophone country – rich beyond belief in natural resources but lacking in infrastructure, rules-based governance and holistic development after centuries of colonial and commercial extraction. “Democratic elections in ethnic and regionally divided societies tend to accentuate cleavages and rivalries,” wrote the GIS expert. She added that in a country where rebels and armed groups still hold much power this is even more dangerous. The Great Lakes region of Africa, and eastern Congo in particular, has been the battleground for armies and rival rebel militia groups since ethnic violence exploded between Hutus and Tutsis in the 1990s. As the defeated Hutus fled into Zaire, the Rwandan and Ugandan armies followed. The Second Congo War started in 1998 and ultimately nine African countries and 25 different armed groups were involved in the hostilities, which caused 5.4 million deaths (mostly from starvation and disease). The war officially ended in July 2003, with the creation of a transition DRC government, but fighting has continued in parts of the country, mostly in the east. President Kabila knows that he could easily lose control of the country if the violence escalates. He does not have a trained and motivated army, nor the political authority necessary to win a direct military confrontation in a country with more than 40 rebel groups and ethnic-based militias, and where there is no longer any sense of nationhood. The DRC’s next big crisis was triggered by President Kabila’s bid to stay in power after his term expired on Dec. 20, 2016. Under the DRC’s constitution of 2006, he was expressly prohibited from running for a third term. Faced with the same dilemma, the leaders of Rwanda and Burundi managed to secure legal sanction for extending their term limits. But Mr. Kabila found it difficult to tinker with the constitution that he had helped to give the country. “After the president revealed his intentions before the term’s end, street protests erupted and were violently repressed by the military and the police, prompting the United States and the European Union to impose sanctions on some of Mr. Kabila’s partisans, wrote an anonymous GIS expert in aFebruary 2, 2017 report. The U.S. Treasury announced measures against the country’s interior minister and security chief. Mr. Kabila’s friendly neighbors – in particular, Angola and the Republic of Congo – leaned on him hard to cut a deal with the opposition. Mediated by the DRC Conference of Bishops, a fundamental understanding was reached on December 31, 2016. Under its terms, President Kabila was allowed to stay on until the next elections, to be held no later than December 2017. During the transition period, no attempt was to be made to change the constitution or hold a constitutional referendum, and the president’s power would be balanced by a prime minister and half of the cabinet ministers chosen by the opposition. The opposition, however, remained divided and the president retained command of the army and the security forces, the central and regional administrations, and most of the financial resources in the public sector. He had the wherewithal to attempt a crackdown at any time. In late 2017, reports of reignited civil war and starvation were coming out of the Kasai region of the DRC. Especially heartbreaking was news that some 250,000 children in Kasai were in mortal danger due to hunger and lack of medical treatment. At the very beginning, the southern province of Katanga wanted independence. … Not only did the central government in Kinshasa find this unacceptable, so did the UN. … [I]n 1964 the UN engineered an invasion of Katanga, where UN troops committed horrible atrocities. Katanga was forced to reunite with the country under Kinshasa’s rule. It is true that Katanga’s copper mines were a very important resource for the whole country, but this does not justify the UN and Kinshasa ignoring the region’s right to self-determination. The problem is a typical one for postcolonial Africa. The DRC is an artificial state, created by a compromise between London, Paris and Berlin. … The real problem is that after decolonization, it was forced to remain a unitary state. In March 2018, the 46-year-old Joseph Kabila was still president of the DRC, but he lacked Mr. Kagame’s legitimacy or the legal loopholes to exploit. His only method for extending his tenure was to delay elections as long as possible, wrote Ms. Pinto in the report summarizing his rule. In May 2016, the Constitutional Court of the DRC ruled that Mr. Kabila would remain in office until elections could be held. Before long, the country’s electoral commission announced that financial and logistical difficulties would make it impossible to conduct nationwide polling before the end of 2018. But that proved the end of the road for President Kabila. Under increasing pressure – the opposition was united in calling for his ouster and the formation of an interim government – the entrenched leader finally buckled. New presidential, legislative, regional and local elections were set for December 23, 2018. The DRC’s presidency went to Felix Tshisekedi, the son of Mr. Kabila’s old rival, Etienne Tshisekedi, who assumed office on January 24, 2019. Angola is a richly endowed country and sub-Saharan Africa’s second largest oil producer after Nigeria. It is also a model example of the so-called “resource curse,” or “the paradox of plenty” – countries with a wealth of natural resources are often the poorer for it. 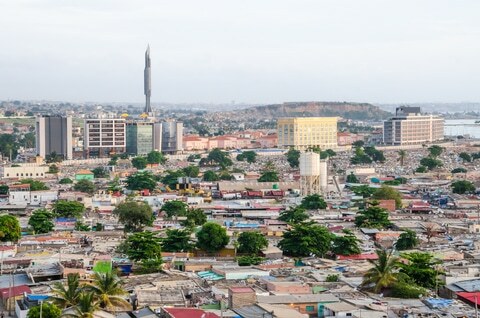 With its destitute population, Angola ranks 147th out of 189 countries in the 2018 edition of the UN’s Human Development Index. This drama is mainly due to the 27-year-long civil war, the entrenched ruling regime’s anti-market prejudice and very high levels of corruption and mismanagement. Angola gained independence from Portugal in 1975. The People’s Movement for the Liberation of Angola (MPLA) party has ruled the country since then. It fought the Portuguese army in the Angolan War for Independence (1961-1975) and against rival armies in the civil war which raged, with interruptions, for 27 years and caused an estimated 1.5 million fatalities and the displacement of 4 million people. When the civil strife ended in 2002, the MPLA leader Jose Eduardo dos Santos cemented his hold on power. He served as the country’s second president for 38 years, starting in 1979. Forced to step down, he was succeeded by Joao Lourenco in September 2017. Eduardo dos Santos was picked for the top post in 1979 not because he was perceived among the ruling elite as presidential timber. As an anonymous GIS expert wrote, there was no obvious successor to the late head of state and the different factions and groups thought they could manipulate Mr. dos Santos. The new president outsmarted them, however. He used the powers of the state and nationalized companies, including the energy firm SONANGOL, to consolidate his control by distributing financial benefits to loyalists and excluding those who were “less enthusiastic.” The method proved successful in extending Mr. dos Santo’s rule. After Mr. dos Santo’s reelection in 2003, no further presidential elections were held in Angola. Under a new constitution, instituted by the MPLA in 2010, the leader of the party winning the most seats in the parliament automatically assumed the presidency. There has been antigovernment sentiment for a long time. This demonstration was called by a group of dissidents who were mainly young, disaffected and unemployed but also including children from some important families. As in other oligarchies, the president’s family won a place at the top of the list of the wealthy. Mr. dos Santos’ eldest daughter, Isabel dos Santos, said to be the richest woman in Africa, was the ultimate symbol of a dominant, self-centered class, indifferent to all others – from writings of GIS’s anonymous expert. Rumors in Luanda had it, though, that the beleaguered president would soon initiate changes and bring in a vice president as a clear sign of his intention to retire, possibly as early as in 2012. Many of the GIS expert’s sources in Angola were skeptical. Nearly three years later, Ms. Pinto detailed in her April 2015 GIS report the devastating impact of the plunge in oil prices on the Angolan economy. “Angola has been attracting attention lately but for all the wrong reasons,” noted an anonymous GIS expert at the end of July of the same year, describing events –an alleged massacre and the trial of a renowned journalist – that were new blows to the government’s credibility. The president’s reaction? Mr. dos Santos countered the speculation that he would step down from power before completing his mandate, in 2017. The president stated that “it would be ‘unwise’ to abandon Angola’s leadership under the current circumstances,” the expert reported. Before long, however, the expert wrote of a possible breakthrough: in early 2016, President dos Santos pledged to leave “active political life” in 2018. Potential successors included the country’s defense minister and the general secretary of the ruling party – both longtime dos Santos loyalists. Many, including within the ruling party, were skeptical of his remarks, since it was not the first time the leader had announced an intention to retire. In both 2007 and 2011, the president did the same thing but instead opted to remain in office. In his opening speech to the general meeting of the Central Committee of the MPLA, President dos Santos repeated his will to retire. Later, the body approved the party’s list of candidates for the election – President dos Santos’ name was not on it. … Defense Minister General Joao Lourenco and Minister of Territorial Administration Bornito de Sousa were at the top. If the MPLA wins the election as expected, Mr. Lourenco will become president and Mr. Bornito vice president. In contrast to many other long-serving African autocrats, the Angolan leader opted to leave office alive and on his own terms. The designated successor, Defense Minister Joao Lourenco, a 64-year-old general and former secretary general of the MPLA, was seen as “a discreet politician, but also tough and experienced,” wrote the anonymous expert after the Angolans voted in a combined parliamentary and presidential election on August 23, 2017. The new leader was a compromise pick between the die-hard supporters of Mr. dos Santos and his family (some of whom had pushed for a dynastic choice of one of his children) and an emerging groundswell of critics within the ruling party. He removed some of the most influential individuals in the country from their positions, including Isabel dos Santos … and allowed the detention of Jose Filomeno dos Santos (known as Zenu), his predecessor’s son and the head of the Angolan sovereign wealth fund, on charges of mismanagement and abuse of state funds. The once-powerful former finance and transport Minister Augusto Tomas has been another casualty of the anti-corruption crusade. His role in the disappointing modernization of the Angolan railway system, performed by Chinese companies, was given as one of the reasons for his detention. President Laurenco’s economic focus has been on diversification and bringing in desperately-needed foreign investment. The game is risky, pointed out the expert. Life has been getting harder for most Angolans. To keep the oil and mining industries going and breathe new life into its agriculture sector, Angola needs foreign help. The country’s new law to attract investment and new partnerships, the expert wrote, would be for naught without an answer – rather sooner than later – from American and European investors.